WHERE: Meet at Duke Street, London, W1U 1AT (next to Selfridges). 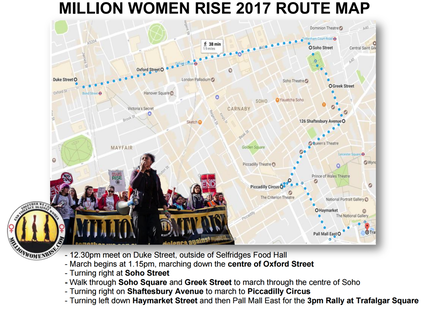 HOW: March to Trafalgar Square. An access bus will be available within the march. BSL interpreters will be available for the entire rally. 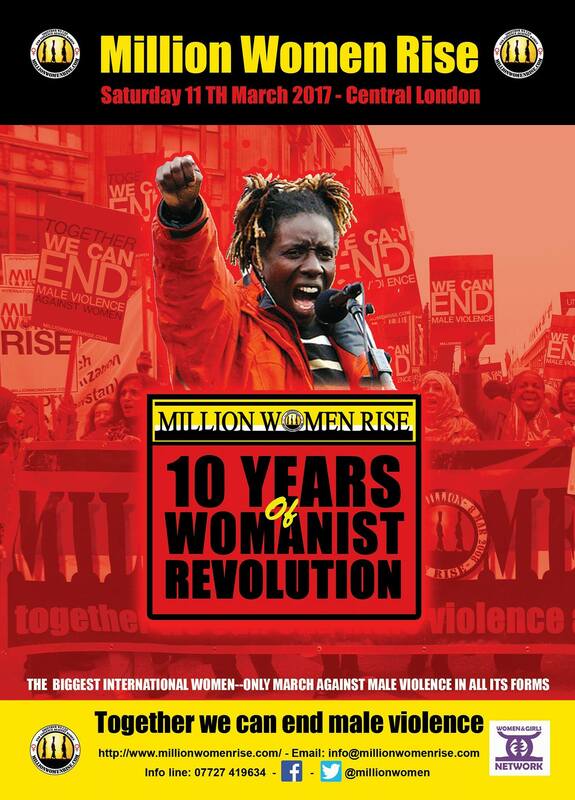 Million Women Rise (MWR) believes that male violence against women and children is a global pandemic. Violence devastates the lives of women, our families, and our communities. It also threatens to undermine efforts to bring about sustainable development. Therefore our campaign to end violence against women is an international struggle for female emancipation and liberty. 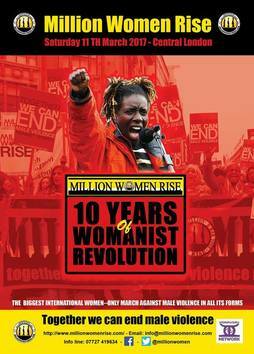 This year is the 10 year anniversary of Million Women Rise. A woman’s right to live free from violence and/or the fear of violence has not been achieved. Women continue to be attacked, exploited, and violated in many different ways, in our homes, on our streets, on our public transport, at our places of work. More than ever, we need to gather as a critical mass. Women be ready... get ready... stay ready. Let the rise begin. We need to be strong together and in large numbers. Unity is strength; the voices of many are louder together than a single voice. Volunteer with MWR. Invite your friends. Spread the word. Together and united we are ending male violence against women and children. If you want to see change for yourself, your children, your families, your communities then come out and say no to violence against women!